I'm working on a papercraft project on Pepakura. Valley folds show in light blue and Montain Folds in dark blue in this software. I was wondering if there is a way to show the angle of the folding edges directly on Blender ? 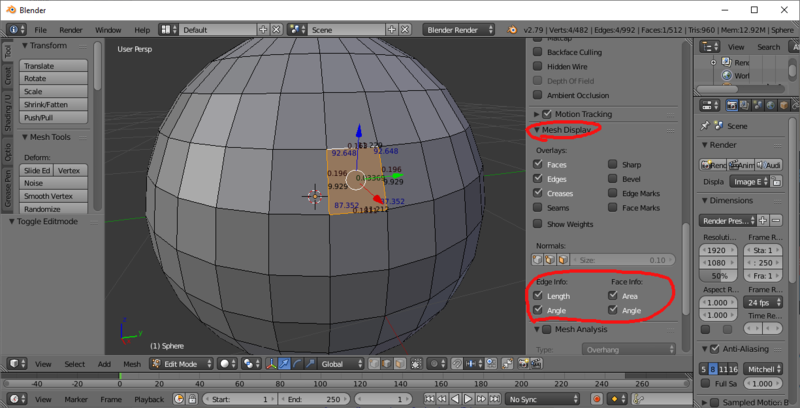 Closest thing I know in Blender is using Mesh Analysis from the Properties Side Bar. 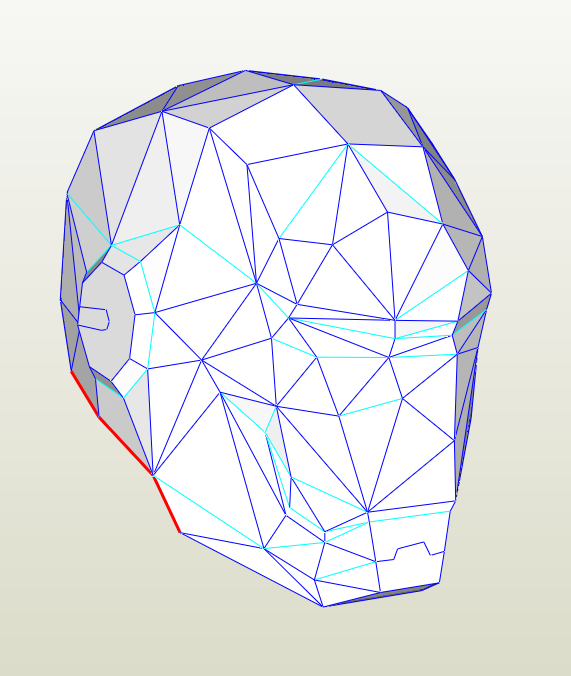 Enter Edit Mode on a mesh object, turn on Mesh Analysis, set it to Sharp and adjust the angles as desired. Have in mind that it can't highlight single edges as illustrated, only face angles. Not sure if it can both show concave and convex edges at the same time. In edit mode hit "N" and look for the Mesh Display tab. Not the answer you're looking for? Browse other questions tagged edges or ask your own question. How can I connect loose edges? How to quickly mark hard edges? How to render an object with arbitrary edges shown? How to straighten out multiple selected edges to one axis?